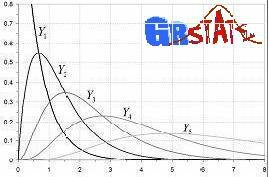 Bayesian variable selection in structured regression problems has been a major area of research for the last twenty years. In 1996, Hugh Chipman wrote a paper exploring regression with related predictors, focusing on the polynomial regression models in several predictors. Since then, there has been little written in the Bayesian literature about this particular problem, though shrinkage methods — such as the LASSO — have been adapted in several ways to address frequentist estimation in these settings. In this talk, we pro- vide alternatives and extensions to Chipman’s model space priors under both strong and weak heredity conditions. We also provide a new theoretical ar- gument for strong heredity that complements Peixoto’s invariance argument. Further, we will also cast the model selection problem in the framework of adaptive Bayesian shrinkage (e.g. that of Scott, Polson, and Carvalho) for both weak and strong heredity conditions. These methods of analysis lend themselves to MCMC techniques and can be computed efficiently. This is joint work with Daniel Taylor-Rodriguez and Nikolay Bliznyuk.